This month’s Mission Matters has focused on the life and work of Robert Frey Ph.D. In Part One (MM#50), I focused on Robert Frey’s reflections about his student years from 1956 to 1960. In the second part (MM#51), I discussed the significance of Frey’s professional work as a historian and the role of inquiry and the synthesis of knowledge throughout his lifetime (especially during retirement) for how we think of the mission of the University of Indianapolis. In this last part, I draw upon Frey’s final reflections — “What Can History Teach Us?” — about the effects of denominational splits in the history of the predecessor groups that formed the United Methodist Church in 1968. I find it hard to believe that the storied encounter took place more than twenty years ago now, in the Fall of 1998. Jerry Israel was in the early months of his tenure as the seventh president of the University of Indianapolis, when he met with a group of UIndy alumni at the [Otterbein] United Methodist Community in Franklin, Indiana. Israel had previously served at the UM-related Morningside College, Sioux City, IA and formerly taught at Illinois Wesleyan College – both of which were founded by the Methodist Episcopal Church. But he didn’t have much experience with the Evangelical United Brethren “side” of the UMC, which had come into the UMC as part of the 1968 merger. And Jerry had not yet encountered the large number of alumni who were fond of referring to themselves as “former EUBs” for whom the merger had been bittersweet precisely because of the dislocation of identity for the denomination and their beloved “Indiana Central College,” now better known as UIndy. In his opening remarks, Jerry made the mistake of referring to UIndy’s church affiliation as “Methodist.” At that point, one of the elder statesmen of the EUB tradition stood up and corrected the new president saying, “Look, we didn’t get much in the merger, but at least we got the word ‘United’ in the church’s name, so please use it!” Jerry took the point, and thereafter he often told the story, particularly when he was addressing groups of United Methodists. It became part of his repertoire as an American historian and university CEO. Like the story of the Student Court, over which Bob Frey ‘60 presided in the late 1950s, this was one of the anecdotes that he and I both enjoyed. The story of Jerry’s encounter with the “former EUBs” evoked so many memories for alumni and church leaders alike. And there are good reasons why it should. First, the word “United” conveyed something more like a charism – the imperative to embrace the God-given grace of Christian unity as a witness in the world – than merely a functionary designation. Second, it named an institutional characteristic that alumni rightly associated with Indiana Central University, particularly during the period that Dr. I. Lynd Esch served as president, but also his predecessor and successor in their own respects. Finally, the word “United” bespoke a proud heritage not to be forgotten, a legacy with a lingering missional force that “former EUBs” like Robert Frey Ph.D (hereafter “Bob”) had taken with them into the newly “united church” that had been born three decades before in 1968. Bob was an excellent interpreter of the religious heritage of his alma mater as well as of the denominational culture of the past and present. He understood the levels of irony as well as the poignant losses, particularly for an institution of higher education that had experienced dislocations of two denominational mergers as well as changes of name and location over the course of its first hundred years of history. Nearly 20 years after Jerry Israel’s encounter with former EUB UIndy alumni at Franklin United Methodist Community took place, Bob wrote what would turn out to be one of his last articles for the Winter 2018 issue of the Telescope-Messenger publication of the Center for the Evangelical United Brethren Heritage on the question “what can history teach us?” The present-day concern that prompted this particular article was the prospect that the United Methodist Church (UMC) might split over the questions of marriage equality and the ordination of gay and lesbian clergy. A special (or “called”) session of the General Conference UMC earlier had been announced to take place in St. Louis, Missouri, February 23-26, 2019. The sole purpose of the gathering is to decide “the way forward” for the UMC as a denomination in the face of seemingly intractable disagreements between “traditionalists” and “progressives” which had resulted in the loss of stability in a church that had formerly been known for its centrism. With this prospect in view, Bob took the opportunity to write a piece that explored divisions (and one reunification) that had played significant roles in the heritage of the EUB Church. He encouraged clergy and laity – particularly those who appreciate the legacy of the Evangelical United Brethren Church to take this sad legacy into account with respect to the future of the UMC. The United Brethren Confession of Faith that had been written at a time (1837, 1841) when the church was only beginning to set up institutional structures had proved inadequate to face challenges created by new theological developments. Meanwhile, the disagreement had escalated over one particular rule of the church, pertaining to membership in Masonic orders (understood as “secret societies”) to which many believed that there were relevant exceptions, including instances of participation in temperance activities advocating the prohibition of the consumption and sale of alcohol. Ultimately the report of the Commission was approved by more than 2/3 of the General Conference. Once the bishops had verified the vote and process, Milton Wright and 14 other “radical” delegates walked out of the conference and reconvened in another location where they declared themselves to be the “true and only representation” of the United Brethren in Christ Church. The following day, the liberal-led General Conference adopted a resolution that had the effect of excommunicating Wright and company. The net effect of these reciprocal rejections was to formalize the split, leaving the two groups to contend with one another for the assets. Later that year, Bishop Wright showed up at the publishing house located in Dayton, Ohio, and demanded that all assets of the house be turned over to him as the representative of the rightful UB Church. The UB Church publisher refused, and the first of many lawsuits proceeded. The Liberal majority group filed a petition to nullify the claim of the Radical faction. Thereafter, conflicts sprang up in various places including in the state of Indiana where the two groups fought over the custody of the property of Hartsville College, with both Central College of Huntington (founded in 1897) and Indiana Central University (founded in 1902) claiming to be the legal successor of Hartsville College. In the end, neither institution was able to build on that legacy in any way that had a lasting impact. As a result, the heritage of Hartsville College languished except in the memory of a group of “classmates” who gathered from time to time on the site of the old college to remember an institution that existed on in their personal memories. Throughout the 1890s, the two sides fought one another in state and federal courts over the property and/or legacy of the church. Ultimately, the New Constitution group of United Brethren prevailed and mobilized its resources in the early decades of the 20th century as it became more of a “mainstream” Protestant denomination. The Old Constitution group of United Brethren (led by Milton Wright) continued as a small but separate denomination, that would continue to hold up its claim to continuity with the past, claiming that it was the “true” United Brethren Church because it had not changed the 1845 Constitution and Confession of Faith. The division between the two groups was never healed. In this first case, Bob Frey calls attention to the fact that the sources of division do not have to remain a bitter memory. Sometimes division creates space for reassessment and a renewed appreciation for an earlier generation of leaders. This is something that United Methodist clergy and laity should keep in mind as they anticipate the conference to be held in St. Louis February 23-26, 2019. Although Bob is careful to limit his remarks here and elsewhere in his article to an “instructive” purpose — as opposed to “predictive” vein – his choice of words here suggests that he worried about what happens when United Methodist leaders who are “unfamiliar with the split” decide to use moments from the past to shape a different future. 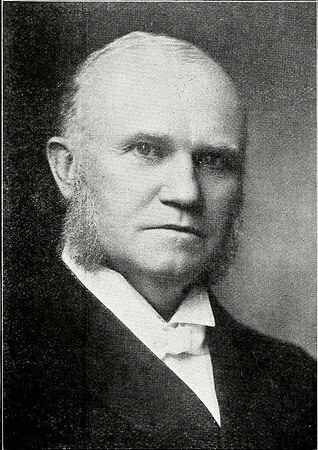 Robert Frey’s account of the 1891-94 split that took place on the Evangelical Church side of the EUB Church heritage is no less detailed than the explanation that he provided for the United Brethren schism that took place five years before (1885-1889), but his purpose was not so much to offer a comprehensive summary as to register the ways in which even the historical accounts of the schism in the Evangelical Association had been tainted by partisan advocacy and denominational censorship, which then raises questions about the health of the heritage for the UMC’s mission. Bob Frey’s focus is threefold. First, the division resulted from the immigrant struggle to engage the dominant culture in which the use of the English language was becoming more prevalent (due in part to persons joining the church who did not come from German parentage) than the native-speaking German groups who had founded the church. But there was a doctrinal issue as well. One group advocated a theology of “entire sanctification,” technical language pertaining to the holiness of heart and life. Other parties found that language misleading, and some even advocated deleting the teaching about sanctification altogether. Third, the issue also had to do with the question of governance or church structure (the constitutional issues pertaining to the polity of governance by which differences were to be resolved). Bob notes the various perspectives that were offered in these matters, including the wag’s observation that these were the kinds of controversies that are sometimes resolved by “a few fortuitous funerals” that allows the controversy to die if not be forgotten. Bob called attention to the fact that religious schisms that result in denominational splits have lingering negative effects, which are difficult to overcome. He mentioned three of these harmful results: 1) the expenses due to litigation, 2) membership loss due to a lack of confidence on the part of laypeople in the leadership of the denomination, and 3) the erosion of clergy leadership skills due to the disproportionate amount of energy consumed by the division in the church. Bob’s concluding rejoinder to the anecdote about the Evangelical Church bishop’s action displayed the instincts of the preservationists among us. In the final line of the article, he reminded readers what happens to those who forget the past. But Bob did not presume to say what it means to remember these episodes in the right way. I suspect that he would have been eager to explore developing the capacity to remember the past differently, which in this case involves reflecting on the poignant sense in which a principal figure in a controversy struggled with how to steward institutional history for the sake of the church’s mission. Bob Frey’s death on June 28, 2018, was bracketed by a pair of decisions by the UMC’s Judicial Council, which in turn have informed how United Methodists have engaged plans for a possible division of the church. The first decision, which was handed down in May 2018, insured that multiple plans for “a way forward” would be discussed (not just one). The second decision, issued in October 2018, identified which features of each plan were problematic with respect to the constitution. No fewer than three plans will be considered, but as of February 2019, it appears that either the “Traditional Plan” or the “One Church Plan” is most likely to be adopted. Whatever Bob may have thought about the substance of these matters, I think he would have been fascinated by the conflict, that was tearing the fabric of the “united” church body, that had been formed by the second of two mergers in his lifetime that had reincorporated the Evangelical Church as part of the EUB Church and then the latter as part of the UMC. Although the title of his article — “What Can History Teach Us?” — echoed the famous query of the philosopher George Santayana as well as the Cold War rhetoric of Prime Minister Winston Churchill, Frey’s piece is as much about the imperative to cultivate a deeper sense of cultural and religious heritage as it is in the tasks of historical inquiry as such. Indeed, Bob’s question is frankly rhetorical. Readers of his article in the Telescope-Messenger quickly detect that the author believes that it is necessary to be able to learn from history. The question is how we go about doing so. Bob Frey was by no means the only United Methodist who has wondered: “Will the UMC be condemned to repeat [the past]?” But unlike most clergy and laypeople in the UMC, Bob Frey had an uncommonly rich capacity for remembering the past. He easily made connections that many clergy and laity in the UMC do not readily see. (The stories he told about the United Brethren Bishop Milton Wright and the Evangelical Church Bishop S. P. Spreng are obvious examples.) Like the “scribe of the kingdom” described by Jesus in the Gospel of Matthew, Bob Frey knew how “to bring forth treasures old and new” (Matt. 13:52) from the storehouse to serve the common good of the Church. Bob Frey also had a realistic sense of the limits of the memory of leaders in the United Methodist Church in the 21st century. In his work with the Evangelical United Brethren Heritage Center at United Theological Seminary in Dayton, Ohio, Bob encountered the limited capacities of an underfunded training center for United Methodist clergy and laity. He had specific worries about the effects of a possible split on the United Methodist Church’s Archives at Drew University, which are administered by the General Commission on Archives and History. And he sometimes worried about whether the Center for the EUB Heritage would survive. Whether it ever occurred to Bob Frey that there could come a day when no one would bother telling the story of Jerry Israel’s encounter with the “former EUBs” at Franklin United Methodist Community, I cannot say. But should someone tell that story at some point in the future in my presence, I will wince a bit more than I might have before. Having learned from Bob Frey to register some of the historical connections, I am more likely to recall the heritage of splits that coexist with the perennial aspirations to be “United” in Christ in much the way “former EUB” alumni of ICC once ruefully recalled the significance of the name “United” in the UMC. Next fall, I will be leading a EUB heritage pilgrimage for alumni and friends of the University of Indianapolis, which I have tentatively scheduled for September 24-25, 2019. Although I anticipate that a small group will join me for both days, others will probably not stay overnight and participate in only one segment of the pilgrimage. The first day we will visit three sites in Westerville, Ohio. Our first destination will be the cemetery where the body of our second president, Dr. Lewis Bonebrake, is buried. While there, we will take a tour of the small museum located in the house of William Hanby, the earliest advocate of United Brethren higher education, which is adjacent to the campus of Otterbein University, which is the oldest of the colleges and universities founded by the United Brethren in Christ. On the second day, we will travel to Dayton, Ohio, to visit United Theological Seminary, where we will learn about the work of the Center for the Evangelical United Brethren Heritage at the seminary where scholars from the Evangelical Church began working together with the faculty of Bonebrake Seminary in the 1950s. That seminary later assumed the identity of “United Theological Seminary” (UTS) after the merger that led to the formation of the UMC. This is the seminary where many leaders associated with ICC were educated, including Prof. Frederick D. Hill, the author of the University’s centennial history, published in 2002. As this brief summary of the history of UTS makes clear, Dayton is a site that is rich in significance for those interested in the heritage of the EUB Church. 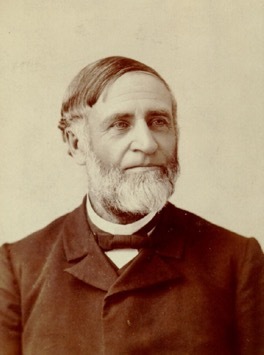 For example, those visitors who are curious to learn more about Bishop Milton Wright will have a chance to learn about his role in the founding of the earliest theological school in the United Brethren Church as well as explore other questions about the EUB Church and its predecessor churches. And those who would like to probe those memories associated with the splits in the Evangelical Church that associates of Bishop S. P Spreng chose to save will be able to see examples of that material. Before we leave Dayton, I will quietly give thanks for the life and work of Robert “Bob” Frey ’60, a proud alumnus of “ICC” and lifelong student of history, who wondered what might become of the UMC after 2019. If you are interested in participating in these pilgrimage activities, please contact me at missionmatters@uindy.edu. In the meantime, thanks for taking the time to reflect with me. Remember: UIndy’s mission matters!